Have you noticed your teacher standing in front of the class and lecturing continuously for long periods of time while you, the student, begin to grow bored and lose the ability to focus or retain any of the knowledge that is being imparted? Does your teacher grow angry and heap useless and damaging amounts of psychological torment on you while your brain, starved of stimulation, attempts to learn something else from your surroundings? Does your teacher reward students who are willing to lifelessly stare straight ahead of themselves, unmindful of the serious psychological damage that can come from non-interactive learning? Perhaps your teacher suffers from a common illness that is devastating our classrooms and causing students to hate learning. This disorder is called ARD, or Attention Requirement Disorder. I feel like this guy. On the right, that is. Once you have diagnosed your teacher as having this unfortunate malady, beware that you might not be taken seriously by professionals. The reason your teacher has developed this behavioral disorder is because it is quite probable that s/he has been rewarded in the past for tolerating and accepting attention requirement as a legitimate teaching method. As with Attention Deficit Disorder, this affliction is behavioral. Once the victim of this disease has been diagnosed, the bulk of the treatment must be behavioral. Drugs should only be prescribed as a final remedy, but know that prescriptions do not solve the problem in the long term. 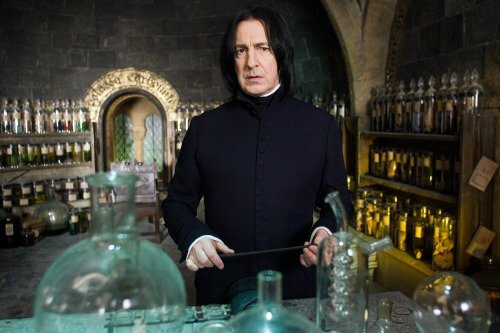 Notable ARD victim, Mr. Snape. Class, say hi to your new chemistry teacher. It has been speculated that media such as video games, graphic novels and high-intensity action films have contributed to ADD by splitting the mind’s attention, creating rapid response reflexes and destroying its ability to concentrate. Think about this for a moment. We’re making the argument here that modern technological and creative advancements have sped up the brain’s functions beyond the point that they can be considered productive. Does this mean our brains are failing, or that our idea of “being productive” is problematic? I do not recommend that we bring video games into the classroom. I simply suggest that we work WITH cultural and technological advancement rather than working AGAINST it. Big businesses in video gaming are profiting from an increase in human brain activity. Why can education not benefit from this discovery as well? 1) Prepare. Have a bag of tricks at your disposal at all times so that if your introduction is not effective, you can switch gears. 2) Interact. Make groups with your students and give them a relevant activity. Visit each group to keep them on track. This is possible with a classroom of up to thirty students (six groups of five students each), but anything past that is difficult and ineffective. Therefore, lobby your education board for smaller class sizes. I love teachers who love teaching. Doesn’t everyone? 3) Focus on topic-changing minds, specifically. If you’ve noticed that some students have a hard time staying on topic, it is possible that they exhibit characteristics of ADD. That said, attention levels naturally vary, and the benefit of giving increased attention to unfocused students is monumental both for them as individuals and for our future society at large. Before we rush to involve clinical psychologists in our affairs, let’s try the behavioral approach, which begins in the classroom. 4) Stop talking about bad students. 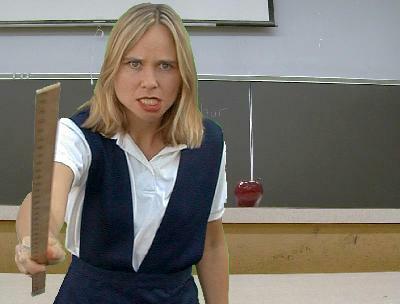 Realistically, a truly bad student is a violent one. Students who cannot keep from speaking up in class, or are more interested in cell phone video games, are not bad. Unfocused, perhaps. Uninterested, certainly. Here’s the thing: Teachers must get past their hurt feelings and take proactive steps to give students a reason to pay attention. “Because I said so” is not a good reason. If we mistake compliance for morality, we need only scan a history textbook to find out exactly how ethical compliant societies in the past have been. When you spot ARD, consider that the sufferer of this common disorder has feelings, and those feelings can easily be hurt. Do not rush to bring their disorder to their attention. Simply try to understand this menacing affliction and do your best to help your fellow students who may not understand why their teacher is behaving in such an erratic and undisciplined way. Forming study groups with your fellow students will both allow you to retain the material your teacher could not effectively explain, and also give you a chance to discuss how you are responding to your teacher’s disorder. Besides that, the teacher will get the impression that you are fantastic students, which in reality, was true all along.